Hand Readings of famous people: Gordon Brown's hands tell us that he is a good man, but is he an effective leader? Brown certainly has leadership qualities. His thumb and finger of Mercury both tell us of a determined mind guided by the head, and of a person who is eloquent and reasonable. It also tells us that these hands belong to a man who is honest and straightforward and is a straight talker to boot. Diplomacy is not a virtue with him though. His strong Venus is not just high in the right places but wide as well, and this doesn't just tell us of his warm and giving nature, it tells us of his willingness of help and guide others in his professional life. Being of a magnanimous nature he tends to attract people towards him. This is a good quality in a politician, this love for people, and another politician whose hands I have analysed, Nicholas Sarkozy, has this too, although he is very different from Brown. This quality makes it easy for the politicians to connect with voters, if they have other good qualities. Such people feel genuine compassion and care for their people. When it comes to action, Brown may falter. He does have a good command over people, but the question is how he chooses to exercise his command. His Jupiter and Mars tell us that he is not just ambitious, he is controlling and pushy. This would make him interfering. He has a bit of a temper as well, as is evident in the development of his Plain of Mars. These qualities cannot endear him to his team, and nor is it the best or the most effective method to get his way. A true leader would fall back on persuasion and consensus. It’s not as if Brown cannot do that, because he has a good head and is a reasonable man. The problem is that he does not stick to his guns and follow through when it comes to an agenda and/or because people resent it when they see him to be fulfilling his own need for power, in other words, for selfish reasons. The shape of Gordon Brown’s hand shows that he has a slightly narrow approach to problems and at times can get quite caught up in various plans to boost his own image, rather than that of the nation. He is a thinker and has good analytical ability but unfortunately this very quality of his can be used to nitpick and interfere. The positive side of this is that he is critical thinker but the downside is that he can get too critical and argumentative. In any case he thrives on attention, fame and adulation. Both his Jupiter and Sun finger point to that. It’s not as if Brown lacks the ability to see the broad picture. The shape of his hand tells us that he can see it, but he may have other priorities. His cautiousness before taking any firm actions can prevent him from being a doer, and make him more of a talker. Another drawback is that Brown prefers the tried and tested methods when it comes to doing things. He is not bold in his views either. This prevents him from being a leader of the future and a visionary. Brown has many good qualities which balance out his personality. His Saturn shows him to be a balanced and prudent person, very dependable and reliable. His square tips give him the ability to see things as they are, and see his own faults. True, he can be stubborn, but not overly so. As a person he tends to be pleasure seeking. He is active and likes to enjoy life. He is neat in his physical surroundings and careful about the way he appears. He has good taste. He would make a lively companion and be an excellent and loyal friend. 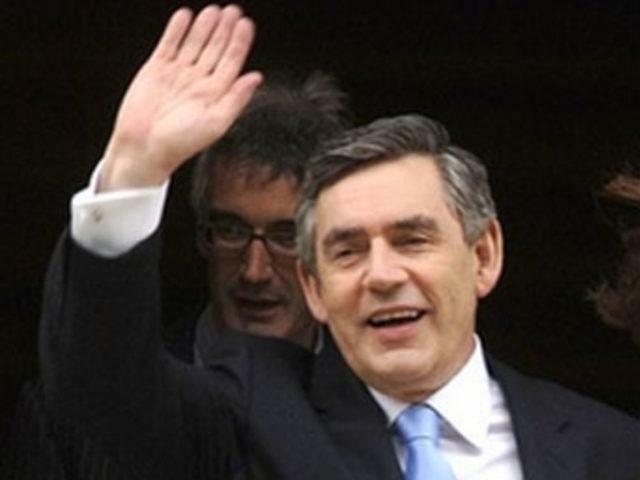 Overall Gordon Brown has a good hand. Sure, he has his weaknesses but he is a good and honourable man. He needs to curb his desire to be controlling, and his tendency to overestimate himself. 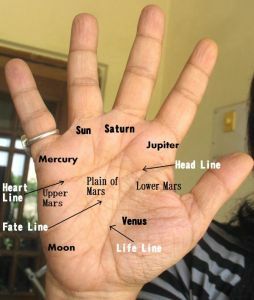 Related Reading: Check out the hand readings of global Heads of State.